Mimi Matthew's has an excellent and informative post on Pugs in Literature and how they often are not portrayed in the most positive light by Austen and Heyer. 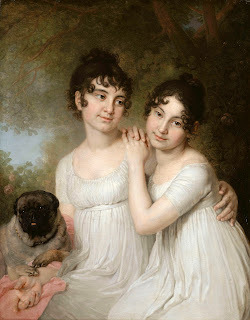 Admittedly, my Regency pug, the canine incarnation of Lydia Bennet, does not come across as an entirely virtuous pooch, although she is at least energetic. Proof that it is not only cats that are drawn to sit upon any person holding a book. This pug looks rather too content about sprawling on the young lady's forearm. It's almost as though it has figured it can shed fur over her shawl whilst simultaneously leaning its weight into the crook of her elbow and she's obliged to gaze demurely into the distance for the portrait. Or maybe I'm misjudging its intentions. Maybe it's trying to take her pulse? Thanks for the mention, Debbie. 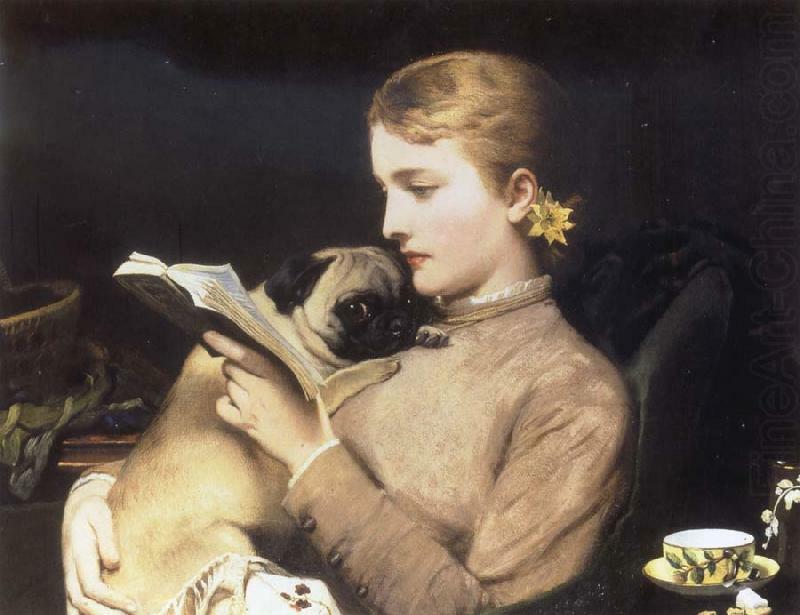 Pugs definitely have a firmly entrenched place in 19th century art and literature - though art of the era seems to depict them a bit more kindly!